This section of our website has been designed to show you how the business operates, the benefits of joining the Schooley Mitchell team, and the details you need to make an informed business decision for your future. Now that you have had a chance to review the business opportunity, you may have further questions about the actual service you would be providing to clients as a Schooley Mitchell Consultant. Our basic service, referred to as Existing Systems Review, is really quite simple. We review all the services that our clients use to communicate, process credit and debit cards and ship small packages. That includes cell phones and smart phones, local service, faxing, long distance, calling cards, toll-free service, conferencing, equipment, internet, data services, merchant services, small package shipping and courier, and more. We use our specialized tools to prepare a report summarizing the services received and costs incurred by our clients. Then we provide them with solutions, advising them about how they can improve their costs. If we find ways to save them money our fee is only a portion of the savings – there is no fee if no savings are found. Our clients love this no-risk approach to saving them money. We generally tell them that there is no possible way we can reduce their bottom line. That’s very reassuring when they don’t have to hope that our service helps them – it always does! In January 2019, Franchise Dictionary Magazine featured Schooley Mitchell in their cover story as an innovative B2B Franchise that can be run as a home-based business. 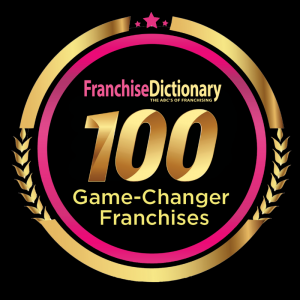 Schooley Mitchell was recognized by Franchise Dictionary Magazine as a game changer in 2018. We were chosen on the basis of turning heads with a unique product. Schooley Mitchell is honored to be a part of this exceptional group of 100 franchises featured as making a difference!